The Event Technical Committee has confirmed that Uganda v Jersey and Malaysia v Bermuda will be replayed on Sunday. In a rain interrupted day at ICC World Cricket League Division 4, today’s matches of Uganda v Jersey and Malaysia v Bermuda will be replayed on Sunday, which will determine which teams will qualify for Division 3. In the only match that was able to be completed today Vanuatu beat Denmark by five wickets at the Kinrara Cricket Oval, in both team’s final matches in the competition. The rain fell in Kuala Lumpar to postpone today’s match between Uganda and Jersey, before Uganda could get their 20 overs in. In order to ensure the final round robin matches have been completed, the Event Technical Committee has confirmed the match will be replayed on Sunday at UKM Cricket Oval. Jersey batted first with Ben Stevens scoring over half of Jersey’s total with an innings of 66 runs from 92 balls. Cornelis Bodenstein (13) and Jake Dunford (11) were the only other two batsmen to get into double figures. Mohammed Irfan took four wickets for 26 runs for Uganda. 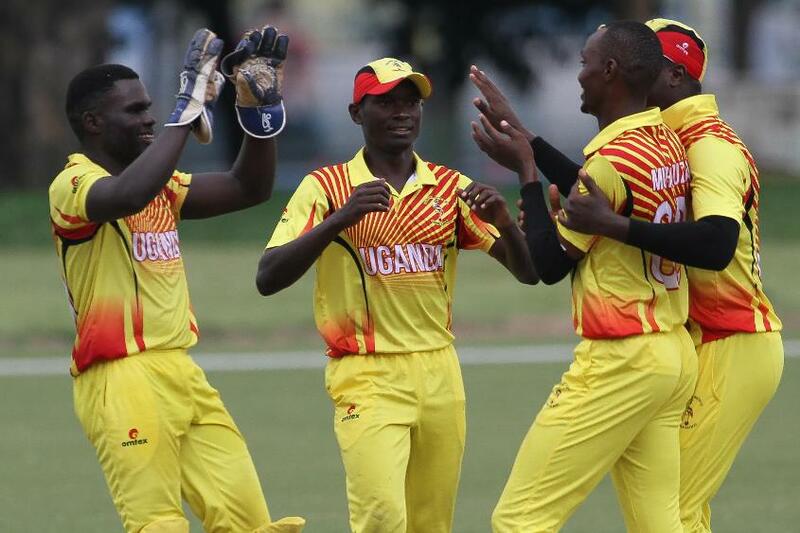 Uganda’s chase which was two balls short of constituting a match, finished at 55 runs for three wickets after 19.4 overs. Hamu Kayondo (13), Roger Mukasa (12) and Brian Masaba (12) all chipped in with runs, with Jersey’s Nathaniel Watkins and Elliott Miles taking one wicket each. In the another rain affected game of the day, Malaysia and Bermuda will face each other again on Sunday. Malaysia batting first scored 228 runs for eight wickets from 50 overs. Shariq Sharif (47*, 45b, 7x4) and Ahmed Faiz (45, 55b, 4x4) were the stand out batsmen for Malaysia. Captain Anwar Arudin also contributed with 39 runs. Bermuda’s Cejay Outerbridge took four wickets for 46 runs. 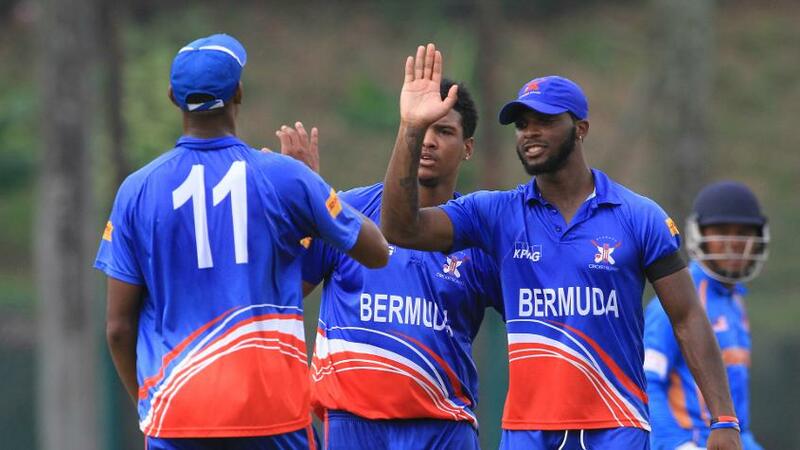 Bermuda’s reply only lasted 17 overs, as the rain set in when they were on 55 runs for two wickets. Terryn Fray scored 24 runs not out and Tre Manders 15 runs not out, with Malaysia’s Muhammad Wafiq and Pavandeep Singh taking one wicket each. Denmark will have to wait for tomorrow’s matches to be completed to see if they will qualify for Division 3 after being beaten by Vanuatu by five wickets. Denmark batting first got off to a strong start with Anders Bulow (57, 61b, 7x4 2x6) scoring a half century and captain Hamid Shah (50, 73b, 3x4, 1x6) also putting in a good innings. Then Vanuatu struck with four wickets in four balls, Nalin Nipiko(2-40) and Patrick Matautaava (3-39) taking two wickets each. Denmark went from 229 runs for five wickets to 234 runs for nine wickets after they had batted out their 50 overs. In reply, Vanuatu who had a strong end to the tournament can thank their batsmen for victory after scoring the winning runs with five balls to spare. Jonathon Dunn (86), Joshua Rasu (69) and Patrick Matautaava (53) all contributed leading Vanuatu to two wins from two. Saif Al Ahmad was the pick of the Danish bowlers taking three wickets for 51 runs.